No one after drinking old wine wants the new, for they say, ‘The old is better’ (Lk. 5:39). provide a basis for Mealy’s view which gives it a viability which cannot henceforth be ignored by commentators. In fact, the prima facie nature of these two arguments could have the force of shifting the burden of proof to those disagreeing with Mealy’s position. “Paradigm shifts” are hard to accept, but Mealy has proposed one with respect to the millennium of Revelation 20, and it deserves to be ranked among other millennial positions in the history of the interpretation of Revelation 20. Ready to learn something new? Let’s dive in. First some general background. The New Testament teachings (and images) about the final disposition of the unrepentant have to be interpreted in relation to three major eschatological themes: (1) God’s universal judgment of the world, (2) the glorious coming of Messiah as the king of all the earth (what Christians typically call Jesus’ “second coming”), and (3) the resurrection of some or all of humanity. In Jesus’ day, no single consensus view existed among Jews as to when resurrection would happen for the unrepentant or even if they would be raised at all. The Sadducees, the party in political power in Israel, rejected all belief in life after death. The Pharisees believed in resurrection for the righteous, but may have been less unanimous as to whether the wicked would be resurrected. The Essenes believed in resurrection for the faithful but apparently not for the wicked. As to when resurrection will take place, the Pharisees believed that resurrection would take place for the righteous at the dawning of the glorious messianic age, but some may have believed that the faithful would be raised progressively through that age depending on their relative merits. The Pharisees did not, however, believe that the wicked would be resurrected at that time. The author of the well-known apocalyptic book 4 Ezra (2 Esdras), whose views don’t fit neatly into those of any known party, thought there would be a single resurrection of all people (including Messiah, who would die along with all the faithful at the end of the messianic age) after the end of the messianic age (see 4 Ezra/2 Esdras 7:22-44). Some of Jesus’ teachings fall in line with the Pharisaic teaching that only the faithful will be selected for resurrection so that they can take part in the glorious age of Messiah’s kingdom, leaving the wicked unresurrected at that time (Lk. 14:14; 20:35). Paul seems to speak the same way in some places (e.g. 1 Cor. 15:21-24; and compare Phil. 3:11, where he uses the interesting word exanastasis, “out-resurrection,” from among the dead). Other passages are ambiguous, such as Mt. 12:41-42 || Lk. 11:31-32, which imagines people arguing at “the judgment” about who deserves to take part in the dawning messianic kingdom. When Christians unfamiliar with the original biblical languages read these passages, they immediately assume that resurrection is being pictured, but there are no technical words for resurrection here, only the verb anistēmi, the ordinary word you would use to talk about standing up. In the Hebrew Bible, similarly ordinary verbs for standing up (e.g. ‘amad, natsab, qūm) regularly connote conflict, including specifically legal battle (e.g. Ps. 1:5 35:11 74:22 82:1, 8 94:16 109:4-7 , 31). Thus also the Greek verb anistēmi (to stand or rise up, used here in Mt. and Lk.) in the LXX and the NT many times has the connotation of coming forward to speak as a party, a judge, a witness in a court of law (e.g. Mk 14:57, 60; Acts 5:34; 13:16; cf. Mt. 12:41-42 || Lk. 11:31-32). So this “standing up in the judgment,” which refers to a specifically judicial eschatological context, is first and foremost the act of appearing in God’s court (cf. Dan. 7:9-10, 17-18, 23-27) to argue that if the ancient residents of Nineveh or Ethiopia don’t get to (be resurrected to) take part in the glorious age of Messiah’s kingdom, then neither should the towns in Israel that rejected Jesus. The possibility that resurrection is not in view here is supported by the fact that Jesus says in a similar saying that Capernaum “will go down to Hades” after being condemned at the coming judgment (see Mt. 11:22-23 || Lk. 10:14-15). This is an odd thing to say if they are to be imagined as having just come up out of Hades by being resurrected. The next stop for the resurrected unrepentant is presumably Gehenna in Jesus’ eschatological scheme, not Hades. Acts 24:15, in which Paul affirms his hope “that there is going to be resurrection of both righteous and wicked” (Gr. anastasin mellein esesthai nekrōn dikaiōn te kai adikōn) can easily be taken as affirming a single universal resurrection. But given the fact that the Pharisee sect (of which Paul was a member) seems not to have believed that the wicked would be raised at the dawning of the glorious messianic age, this is equally readable as affirming the what of the matter rather than the when. John 5:28-29 is somewhat harder to read as stating a what rather than a when. Don’t be shocked by this—a moment is coming in which all those in the tombs will hear the voice of the Son of Man, and they are going to come out: those who have done the good things will come out for a resurrection of life, but those who have done the bad things will come out for a resurrection of judgment. So we see that the evidence from the NT outside of Revelation as to whether there will be a single general resurrection or two resurrections (one for the faithful and a later one for the unrepentant) is mixed rather than decisive. It’s therefore reasonable to come to Revelation with an open mind on this subject. Immediately after this defeat in heaven, we saw the devil marauding around the earth in a rage trying to kill the community of the faithful, and then we saw him recruiting “the beast” as his avatar to deceive all the nations on earth into worshiping him and into prosecuting a global—and successful—campaign to make war on all followers of Jesus Christ (12:12b–13:10). The period of the devil’s freedom on earth to deceive and manipulate the nations was said to be “short” (12:12b), and was in a few different ways quantified as three and a half years (12:6, 14), which turned out to correspond exactly to the period of the divinely permitted persecuting activity of the beast (13:5; cf. 11:2, 3). Thus as readers we were given to understand that when the beast’s career came to an end on the earth, so also would the devil’s freedom (“his time,” 12:12) come to an end on the earth. We finally see this battle in 19:11-21, when the beast and “the kings of the earth” gather to oppose Jesus as he comes in glory to take up his fully manifested kingship on the earth. We see the beast captured and incinerated in a pool of fire (recalling Dan. 7:11), and we see “the rest” (19:21) of those arrayed against Jesus “slain by the sword that came from the mouth of him who was sitting on the horse” (19:21), whom we know to be Jesus. Who are “the rest”? We have just heard that they are “kings…captains…mighty men…all men, both free and slave, both small and great” (19:18). The end of the beast’s short career on the earth has come, and with it the end of all rebellious humanity—every single unrepentant person from the bottom of the social ladder to the top. We now fully expect to witness the capture of Satan, and this is exactly what we do see. He too is captured, but unlike the beast and false prophet, who were incinerated on the spot, he is imprisoned in the underworld. There he joins all those whom Jesus has just slain. They all now subsist in Hades, the underworld prison of (unrepentant) humans who die as mortals, awaiting their release by Christ through resurrection (cf. 1:18; 6:8). 21On that day the Lord will punish the host of heaven, in heaven, and the kings of the earth, on the earth. 22They will be gathered together as prisoners in a pit; they will be shut up in a prison, and after many days they will be punished. 4Then I saw thrones, and seated on them were those to whom the authority to judge was committed. Also I saw the souls of those who had been beheaded for the testimony of Jesus and for the word of God, and those who had not worshiped the beast or its image and had not received its mark on their foreheads or their hands. 5They came to life and reigned with Christ for a thousand years. The rest of the dead did not come to life until the thousand years were ended. This is the first resurrection. This is a courtroom scene, a judgment scene. The matter to be decided concerns all of the dead: who is worthy to be resurrected and to receive the kingdom of the earth with Christ (cf. Dan. 7:9-10, 25-27; Lk. 20:35)? The expected answer is, all the faithful. But on the surface it looks as though the only ones chosen for resurrection are those who have been martyred by the beast or at least killed in some circumstance for their loyalty to Jesus or to the truth of God (20:4b). Is there room in this scene for non-martyrs (e.g. on the thrones, or in the phrase, “those who had not worshiped the beast…”)? Perhaps. But John’s vision seems to be just about as radical Jesus’ statement, “Whoever does not bear his own cross and come after me cannot be my disciple” (Lk. 14:27). At the very least, John’s way of narrating this scene seems intentionally to discourage Christians from hoping that they can survive the beast’s regime without facing martyrdom. Note the context for this particular oracle. All of godless humanity, with the implicit exception of the faithful remnant, has broken the “everlasting covenant” and has perished along with the earth itself (Isa. 24:1-20). The rebellious angelic hosts, together with the leaders of rebellious humanity, have been captured and imprisoned in the underworld together for “many days,” anticipating a later final judgment (Isa. 24:21-22). The Lord has taken up his glorious reign on Zion, and has invited the faithful from all nations to his enthronement banquet; for them separation from God and death and crying are no more (Isa. 24:23–25:10a). Enemies have been thrown down and have been left swimming around in their own filth (Isa. 25:1-5, 10b-12; 26:5-6). Zion is now completely secure because God, its glorious King, is its protector (Isa. 26:1-4, 7-8). Who, then, can these people be, who “learned righteousness” (Heb. lamad tsedeq) when the Lord came in glory as King and Judge of the nations (26:9b), but after all did not learn righteousness (Heb. bal-lamad tsedeq, 26:10)? And what is the favor that is shown to them that they are even able to set foot in “the land of uprightness” (26:10)? The answer, when we read Isa. 26:9-11 in parallel with Rev. 20:7-8 as John invites us to do, is they are the resurrected unrepentant, and the favor or mercy that they have been granted is the undeserved favor of resurrection. 25They shall dwell in the land that I gave to my servant Jacob, where your fathers lived. They and their children and their children’s children shall dwell there forever, and David my servant shall be their prince forever. 26I will make a covenant of peace with them. It shall be an everlasting covenant with them. And I will set them in their land and multiply them, and will set my sanctuary in their midst forevermore. 27My dwelling place shall be with them, and I will be their God, and they shall be my people. 28Then the nations will know that I am the Lord who sanctifies Israel, when my sanctuary is in their midst forevermore. 8After many days you [Gog] will be mustered. In the latter years you will go against the land that is restored from war, the land whose people were gathered from many peoples upon the mountains of Israel, which had been a continual waste. Its people were brought out from the peoples and now dwell securely, all of them. 9You will advance, coming on like a storm. You will be like a cloud covering the land, you and all your hordes, and many peoples with you. 18But on that day, the day that Gog shall come against the land of Israel, declares the Lord God, my wrath will be roused in my anger. 19For in my jealousy and in my blazing wrath I declare, On that day there shall be a great earthquake in the land of Israel. 22With pestilence and bloodshed I will enter into judgment with him, and I will rain upon him and his hordes and the many peoples who are with him torrential rains and hailstones, fire and sulfur. It is important to notice that the oracle of Ezekiel 38 refers four times (see the bold phrases above) to the fact that this attack takes place at a time and under conditions when the faithful have long been living in peace and security in their land. Gog’s incursion must therefore be understood (as it was, indeed, unanimously understood by ancient rabbis), as taking place in context of the “everlasting covenant of peace” that attends the everlasting kingdom of Messiah that forms the immediate context (37:22-28; cf. Isa. 26:1-4; 27:2-3). Notice that God says to Gog, “after many days you will be judged.” This phrase is made up of the same four Hebrew words (with two of the words, “days” and “many,” transposed) as the phrase that summarizes the prospect for the rebellious human and angelic forces imprisoned in the underworld in Isa. 24:22: “after many days they will be judged.” By naming the satanically deceived nations “Gog and Magog,” John is leaving us a hint that he understands Isaiah’s vision in Isa. 26:10-11, Ezekiel’s oracle in Ezek. 38:1-23, and his own vision in Rev. 20:7-10 as revealing the same thing: the resurrection and final, fiery destruction of the unrepentant. In Isaiah’s vision of the end of humanity in the current age, just as in Revelation 19 (cf. Rev. 6:12-17), there is no room for ordinary people surviving the total collapse of the planet (Isa. 24:17-20). Thus the identity that is closest at hand and most workable for those who are shown favor but who turn to attack the faithful in Isa. 26:10 is those imprisoned in the pit at the Lord’s coming in glory in Isa. 24:21-23. This raises the question, what does it mean to say that those released from the prison of the pit are shown grace? It is typical for Bible interpreters to assume that the reason for the resurrection of the unrepentant is for them to face judgment and punishment for their misdeeds in mortal life. The moment of their resurrection is not, under this assumption, a moment of grace and mercy, but a moment of justice without mercy. I have argued for the possibility that the judgment at Christ’s coming in glory decrees either resurrection or refusal of resurrection according to what people have done in their mortal lives (Lk. 14:14; 20:35; Phil. 3:11; Rev. 20:4-5). The obvious logical consequence for a created being that misuses the gift of life and/or abuses its fellow created beings is to be uncreated, removed from the community of creation. However, if God decrees a just and fair chastisement for misdeeds done in mortal life, and thereafter grants the chastised ones an opportunity to start again in resurrection, then resurrection is indeed an act of grace and unmerited favor. It is still “a resurrection of judgment,” in the sense that the resurrected ones will be judged, evaluated, on the basis of what they do with the undeserved gift of renewed life and agency. We see in Isa. 26:9-11 and Rev. 20:7-10 that the devil and the unrepentant judge themselves unworthy of life even more blatantly than in their former life. This is the last judgment, leading to the second death. There is no coming back from this death. John now sees the dead, who had been removed from mortal life and/or excluded from the gift of resurrection at the judgment that attended Christ’s coming in glory (19:17-21; 20:4-5, 11-12), drawn up out of the realms of the dead by resurrection and judged “each according to their deeds” (20:13), and cast into the pool of fire. This is the same pool of fire that presumably resulted from the deluge of fire came down from heaven upon the resurrected unrepentant and consumed them in 20:9-10. Why do we appear to have a second, condensed version of the final judgment and fiery destruction of the unrepentant here in 20:13-15? I submit that John is shown first the corporate judgment of the living at Christ’s coming in glory pictured in terms of conflict (19:17-21), then the individual judgment of the same people pictured in courtroom imagery (20:4-5, 11-12). Similarly, he is first shown the corporate judgment of the resurrected unrepentant as a conflict (20:7-10), then the judgment of the individual actors as a courtroom proceeding (20:13-15). The truth being revealed is that human beings are social and corporate to the depths of their being. We are designed to have our identity within and to function as organic community. That is why Paul calls the community of the faithful the body of Christ (e.g. 1 Cor. 12:27; Eph. 4:12, 15; 5:23), and why the community of the faithful is pictured as the bride of Christ (Eph. 5:29-32; Rev. 19:7-8; 21:2, 9-10). This is also why the judgment of the living at Christ’s coming is pictured both in corporate and individual terms; correspondingly, the final judgment of the unrepentant dead takes place on both the corporate and the individual level; it is at once a confrontation in front of the Beloved City and a courtroom proceeding in front of God’s great white (or shining) throne. New creation millennialism embraces recapitulation as a well-established option for interpreting the relationship between vision-scenes in Revelation. Thus it does not resist seeing the dissolution of the current heavens and earth and the destruction of all unrepentant humanity taking place at Christ’s (and his Father’s) coming in glory (Rev. 6:12-17; cf. 2 Pet. 3:7-13). Likewise, new creation millennialism acknowledges and embraces the many clear indications in Rev. 21:1-8 that this is yet another revelation of Christ’s and his Father’s coming in glory—this time with the Bride. This implies not only that the Beloved City of Rev. 20:9 is identical with the New Jerusalem, but also that that the resurrection of the unrepentant is to be understood as taking place on earth in the context of the new heavens and the new earth, which is to say, the new creation. Hence new creation millennialism. I understand that new creation millennialism clashes with nearly everyone’s eschatological models. The only relevant question is, is it biblical? The answer is, it is 100% biblical, even down to the radical idea that resurrection is granted to the unrepentant as an act of grace, rather than strictly as a prelude to judging and punishing them for past misdeeds. Let’s start with the assertion that the final judgment and destruction of the unrepentant occurs in the context of an attempted siege of the New Jerusalem in the setting of the new creation. Do you want 100% biblical? Coming up. This depiction of the last judgment of the wicked is well in line with the typical last judgment scene of the OT. Nearly always the final disposition of the enemies of God is pictured as a great battle in which the Lord defeats for the final time the enemies of the faithful. Christians are in the habit of jettisoning this imagery in favor of the idea of a final judgment that is abstracted from the creation, entirely focused on the individual, and more or less totally passive on the part of those being judged. New creation millennialism reconnects the OT picture of final judgment to the NT language and imagery of final judgment and explains why the courtroom imagery and the battle imagery are both necessary and relevant. Now, finally, let’s confront the single most radical implication of new creation millennialism: the idea that the resurrection of those ultimately destined to be destroyed is an act of grace and mercy, rather than an act expressing God’s wrath. All that is needed in order to prove the claim that this concept is 100% biblical is for new creation millennialism to be given the same interpretative right as all proponents of conditional immortality claim when they interpret Jesus’ appeal to “Gehenna, ‘where their worm does not die and the fire is not quenched’” by going to Isaiah’s prophecy and reading it in context (see Mk 9:48, citing Isa. 66:24). John, in Revelation, like Jesus, unmistakably points to a key prophecy of Isaiah about the final end of the unrepentant, and unless you read that in context you will not understand his prophecy. 2In that day, “A pleasant vineyard, sing of it! 4I have no wrath. Would that I had thorns and briers to battle! I would march against them, I would burn them up together. In Rev. 20:1 John says an angel laid hold of “the dragon, that ancient serpent, who is the devil and Satan,” an explicit reference to Isa. 27:1. But because in context John does not refer to the final slaying of the devil at that point but only his long imprisonment along with the kings of the earth (Rev. 19:17–20:3 || Isa. 24:21-22), he effectively points ahead to the above passage as prophetic background to his own vision of the final end of the devil (20:7-10). What is the mentality of the Lord towards those who might be contemplating attacking his beloved people, pictured here as his vineyard? The Lord’s self-confession is that he has no wrath towards them. He has no desire or intention to condemn or harm them—indeed, he fervently desires reconciliation and peace with them. The only thing that will get on his bad side is to try to do harm to his faithful ones—in which case you will go up in a ball of fire like so many tumbleweeds. This is the last encounter between the Lord and the enemies of his beloved, and it is, just as Isaiah characterizes it in 26:10, a moment of grace. 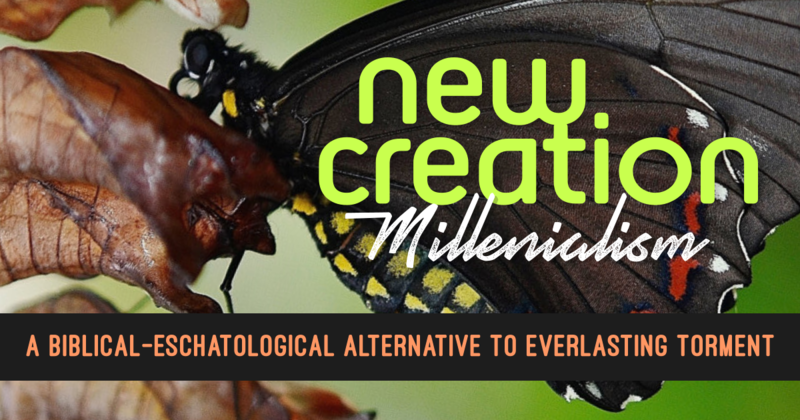 New creation millennialism makes sense of Jesus’ sayings that characterize the fate that the unrepentant will suffer at the judgment of the living and the dead as a very long imprisonment from which they can eventually expect to be released (cf. Mt. 5:25-26 || Lk. 12:57-59; Mt. 18:21-25). Such sayings, along with Mt. 25:41, 46 (cf. Isa. 24:21-22), refer in this model to the intermediate state of the unrepentant after they have been judged for their deeds as mortals (at Christ’s coming in glory, at the start of the thousand years) and before they have been resurrected. New creation millennialism re-unites and integrates the OT pictures of the final fate of the unrepentant with the two NT pictures of the resurrection and final judgment of the unrepentant (Rev. 20:7-10, 13-15). Isaiah 66 in this model becomes not just a context-less proof text for arguing that the unrepentant suffer death rather than ongoing torment, but a picture which (when read alongside Isa. 26:9b-11, 20-21; 27:1-5; 57:19-21; Rev. 20:7-10) explains the how and the why of their final annihilation: they attack the holy community of the resurrected faithful in the context of the new creation, proving themselves incorrigible and necessitating their annihilation. New creation millennialism offers a weighty argument on the side of conditional immortality by observing that fire coming down from heaven and devouring those who attack the community of the faithful (Rev. 20:7-10; cf. Isa. 26:10-11; 27:1-5) is a picture of the same fate as the resurrected unrepentant being judged by their actions and being cast into the pool of fire (Rev. 20:13-15). This identification, together with John’s interpretation, “This is the second death, the pool of fire” (20:14), solidifies our understanding that the fate of the stubbornly unrepentant is to be slain with finality, expunged from the creation, annihilated. New creation millennialism, by responding to the biblical revelation that the resurrection of the unrepentant is a gift, the gift of a last (undeserved) chance to make peace with God and live in peace and harmony in God’s creation, makes it possible to understand that God truly loves his enemies—and not only in some threadbare sense of temporarily permitting them to exist. Jesus’ command to love our enemies and pray for those who persecute us (Mt. 5:43-48) arises from God’s deepest character, which we are to imitate. Is this idea 100% biblical? It certainly is. 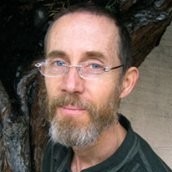 Gregory K. Beale, “Review Article: J.W. Mealy After the Thousand Years,” EQ 66 (3, 1994), 229-49. J. Webb Mealy, “A Brief Commentary on Isaiah 24–27” (12 pages, online). This commentary demonstrates that the way in which I see John interpreting Isaiah 24–27 in Revelation works on the passage’s own terms. It is available at my website: www.simplegospel.com/docs/Brief_Commentary_on_Isaiah_24-27_01.pdf. — The End of the Unrepentant: A Study of the Biblical Themes of Fire and Being Consumed (Eugene, OR: Wipf and Stock, 2013). A thorough, but more accessible, study supporting the same conclusions as After the Thousand Years, taking into account all biblical passages about fire and being consumed. — New Creation Millennialism (draft, 126 pages). This is a short scholarly monograph that contains the full exegetical presentation of which this piece for RH is a taster. It also contains powerful refutations of both historic/dispensational premillennialism and amillennialism. It includes a survey of ancient interpreters and modern scholars who have taken the new creation millennialism approach, and a very brief treatment of (partial) preterism. This monograph is available online at www.simplegospel.com/docs/NewCreationMillennialism.pdf. — “Revelation is One: Revelation 20 and the Quest to Make the Scriptures Agree,” in Reconsidering the Relationship between Biblical and Systematic Theology in the New Testament (ed. B.E. Reynolds, B. Lugioyo, and K.J. Vanhoozer; WUNT 2.369; Tübingen: Mohr Siebeck, 2014), 131-53. This article contains my rebuttal of Gregory Beale’s main criticisms of After the Thousand Years and a critique of Beale’s own amillennial interpretation of Revelation 20 (as showcased in Beale’s The Book of Revelation: A Commentary on the Greek Text [NIGTC; Grand Rapids: Eerdmans, Carlisle: Paternoster Press, 1999]). It is available online at www.simplegospel.com/docs/Revelation_is_One_Mealy_Offprint_2014.pdf. J. Webb Mealy (PhD, Biblical Studies, Sheffield) is the author of The End of the Unrepentant, The Bad Place, and New Creation Millennialism. He is also the translator of The Spoken English New Testament. He continues to write and teach Bible and theology to lay people while providing care for his elderly father.